It's been more than a decade since the breakup of Jennifer Aniston's marriage to Brad Pitt. Though both actors eventually moved on to relationships with other people, the public remains fixated on figuring out what went wrong for the one-time "it couple." Although observers are often willing to place the majority of the blame on interference by Angelina Jolie, it turns out there are multiple reasons as to why Aniston and Pitt called it quits. You may be surprised to know there was trouble in paradise before anyone ever heard of Mr. & Mrs. Smith. 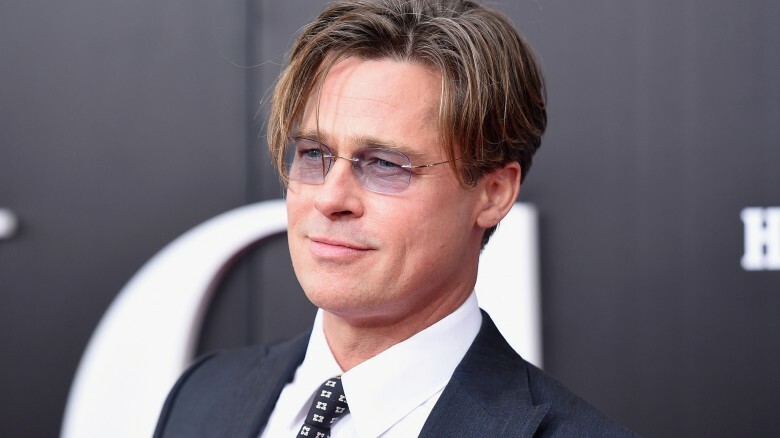 As much as we'd like to think Brad Pitt and Jennifer Aniston would still be together had it not been for an alleged affair with Angelina Jolie, statements by Pitt indicate he was probably already looking for an out before he found it in his Mr. & Mrs. Smith co-star. In Pitt's own words, he "got burnt out and felt that [he] was wasting [his] opportunity." We can only assume he meant he was "wasting his life" in an unhappy marriage instead of being honest about his own feelings. By contrast, Jennifer Aniston seemed ready to work on their decaying marriage. "Those moments where it looks like 'Uh-oh, this isn't working!' — those are the most important, transformative moments," said Aniston. "That's not Brad's view of it. We believe in different things, I guess." An article in Vanity Fair revealed that Jen Aniston had hoped to be pregnant during the same window of time she found herself divorcing Brad Pitt. According to an unnamed mutual friend of the ex-lovers, "When Brad and Jen were in the marriage, having a baby was not his priority — ever. It was an abstract desire for him, whereas for Jen it was much more immediate." Unfortunately, thanks to Brad Pitt spending so much time with then new flame Angelina Jolie and her adopted children, the public and media opted to believe the exact opposite. Headlines of the time declared that Pitt dumped Aniston because she selfishly put her acting career ahead of his desire to start a family. The stigma associated with her alleged "failure" remains so strong, Aniston felt compelled to address the misogynistic viewpoint in a 2016 Huffington Post article. It's worth noting that although Aniston insisted at the time of her divorce from Pitt that she did want children and would have them at some point, she remains childless — and is unapologetic about the fact. The "Sexiest Man Alive" married "America's Sweetheart," and the public fell in love. Expectations were high from the very beginning. New York Daily News reported that immediately after Brad Pitt and Jennifer Aniston married, they moved into a "a $1.7 million, 14,000 square-foot mansion in Beverly Hills, California." They were constantly in the public eye and there were very public hopes that Pitt and Aniston would eventually have a beautiful blond-haired child for everyone to fawn over. The couple may have felt an intense amount of pressure to keep up perfect appearances and always pretend to be more in love than what they felt at any given time. The need to live up to the high standards of millions of total strangers could have proven too much in the end. It's hard enough to be there for each other when one partner in a relationship is very busy. In the case of Brad Pitt and Jennifer Aniston, both actors were in high demand when they married. That meant that it was very hard for them to be together whenever they wanted. Aniston admitted there were times she really wanted Pitt to be there for her, but he couldn't be due to a busy schedule. As the International Business Times reports, the two were spending an ever increasing amount of time apart thanks to his working on films like Ocean's Twelve and Troy while she was at work on The Good Girl. Although they made an appearance together at the 2004 Primetime Emmy Awards, leading the public to believe everything was just fine — despite their conflicting schedules — the two would announce to the world that their marriage was over just a few short months later. 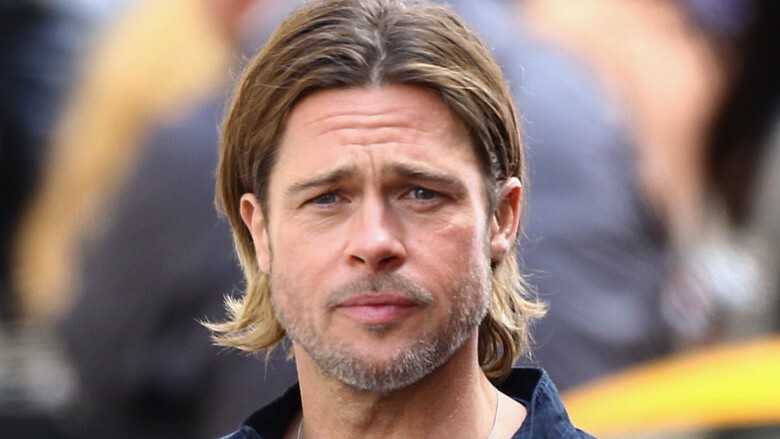 In an interview with Esquire, Brad Pitt admitted he was on drugs at the time of their divorce. "For a long time I thought I did too much damage — drug damage." Pitt said that he was "burn out" from his lifestyle, and felt he needed a change. Unfortunately for Aniston, this out-with-the-old attitude meant that in addition to changing up his lifestyle, he also wanted to remove himself from their relationship. The Aniston-Pitt-Jolie situation is a tricky one. Allegedly, Jen Aniston and Brad Pitt were already in the midst of a divorce when the actor began his relationship with Angelina Jolie. When Vanity Fair writer Leslie Bennets asked about the "gracious, no-one-is-to-blame announcement of their separation," Aniston said as far as she knew, the statement was true. However, she was admittedly shocked when immediately afterward, Pitt was photographed with Jolie, "frolicking on the beach with Maddox at a romantic resort in Africa." Aniston, who by contrast kept a decidedly low profile following the separation, admitted to being "shocked," by how quickly her ex moved on. So quickly that it seemed to justify rumors of infidelity. As Us Weekly points out, Jolie and Pitt met and fell in love while filming Mr. & Mrs. Smith. Filming took place during January 2004. Pitt didn't officially separate from Aniston until about a year later. With this in mind, it seems like a situation where Aniston was duped into believing the problems in her marriage weren't related to infidelity when there are reports that seem to contradict this. In Jen Aniston's own words, there is no simple or singular explanation for why her marriage to Brad Pitt never worked out. "It's just complicated," says Aniston. "Relationships are complicated, whether they're friendships or business relationships or parent relationships. I don't think anybody in a marriage gets to a point where they feel like 'We've got it!' You're two people continually evolving." As for relationships falling apart, she adds, "There are all these levels of growth — and when you stop growing together, that's when the problems happen." Despite the decade-long examination of this failed celebrity relationship, the truth is…we may never really know the truth as to what went wrong for Pitt and Aniston. It makes sense. If the very people in the relationship don't both fully comprehend where things went wrong, it only stands to reason that eager outsiders will be just as confused, if not more so.